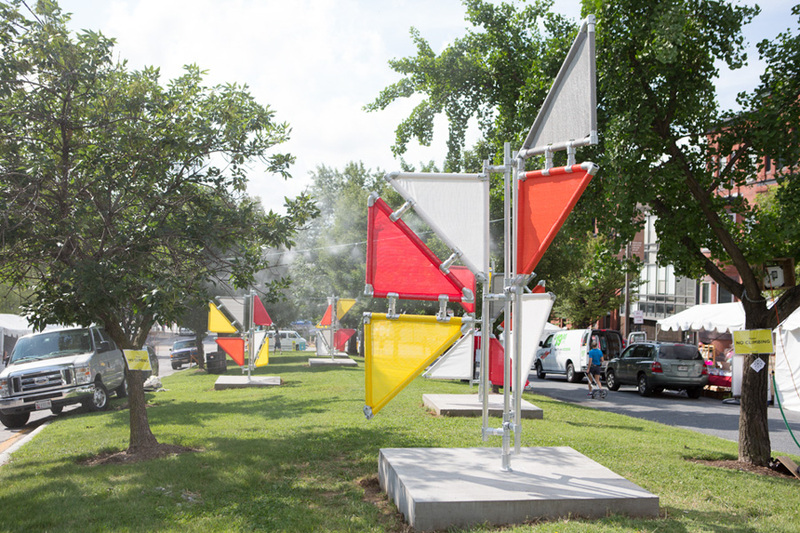 BroLab was commissioned to create a temporary public installation as part of Artscape 2015 in Balitmore, MD. Placed within a 150-foot span of Mount Royal Avenue median Misty Mountain Royals consisted of several large-scale forms customized to the terrain of Mount Royal’s landscape. 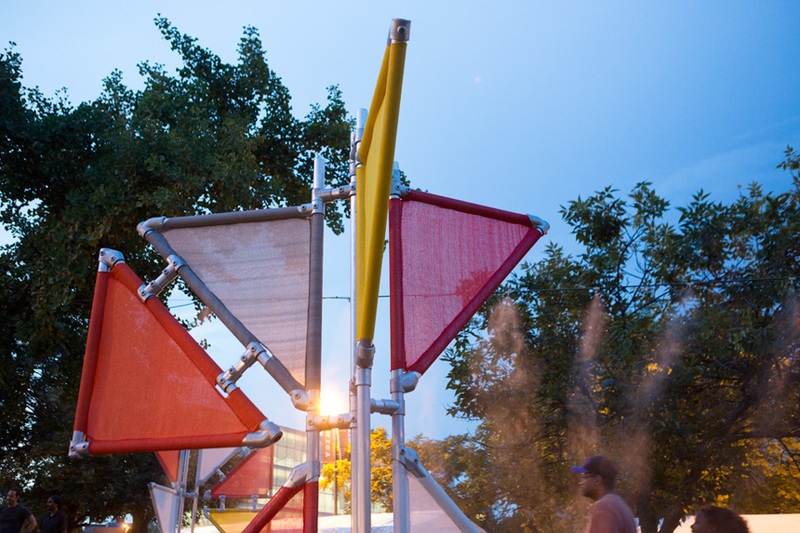 Each form was built using a triangular system of aluminum poles, key clamps, and brightly colored vinyl mesh accompanied by adjacent plumes of high-pressure mist. 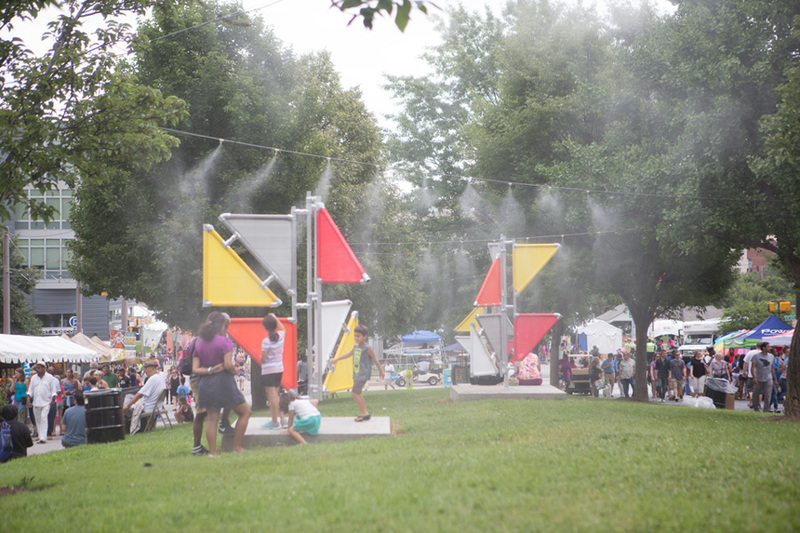 The general public was encouraged to interact with the mist and sit atop the concrete slabs upon which the larger forms are anchored. 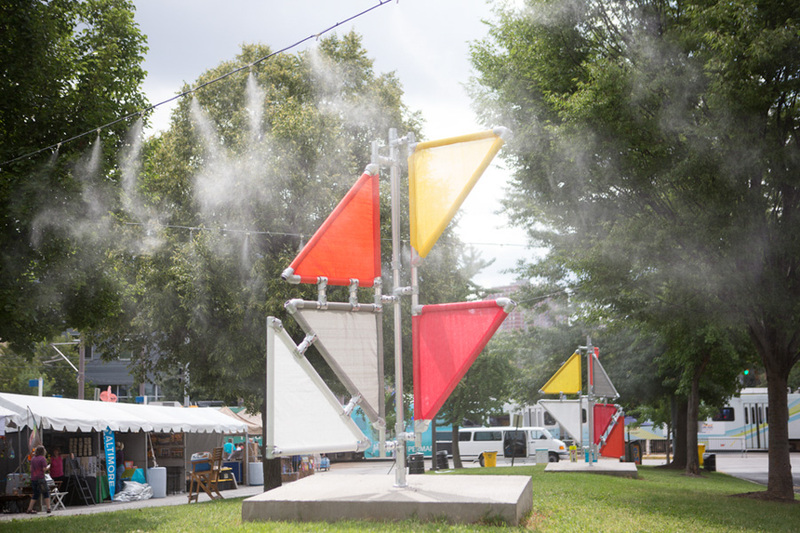 A dramatic array of color, form, and movement, Misty Mountain Royals remixes the notion of the everyday crossing as both a place of destination and passage - a social nexus to cool off audiences in the midst of summertime.